ISR lab at UNIST is dedicated to developing and implementing core technologies to assess the health of electronic products and systems, and to predict system reliability. We focus on developing smart IoT sensors to self-diagnose faults of components, products and systems covering from semiconductor electronic packages to manufacturing equipment. We also study PHM (Prognostics and Health Management) algorithms based on big-data analytics for reliability prediction. 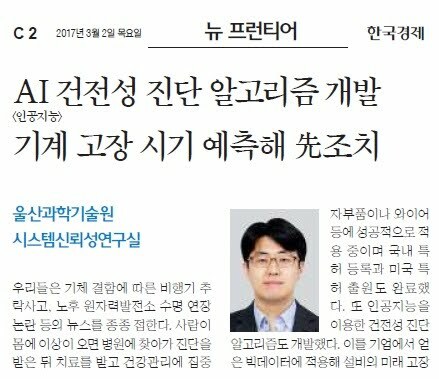 유니스트 시스템신뢰성 연구실은 전자제품 및 시스템의 건전성(Health)을 진단하고 신뢰성(Reliability)을 예측하기 위한 핵심기술을 연구하고 있습니다. 반도체 패키지부터 생산장비에 이르는 부품, 제품 및 시스템을 대상으로 자가고장진단을 위한 스마트 IoT센서를 개발하고 빅데이터에 기반한 다양한 고장예측진단(PHM: Prognostics and Health Management) 알고리즘을 연구하고 있습니다. We are actively looking for motivated graduate (M.S., Ph.D and M.S.-Ph.D combined) and undergraduate interns. Research assistantship is available for qualified graduate study applicants. 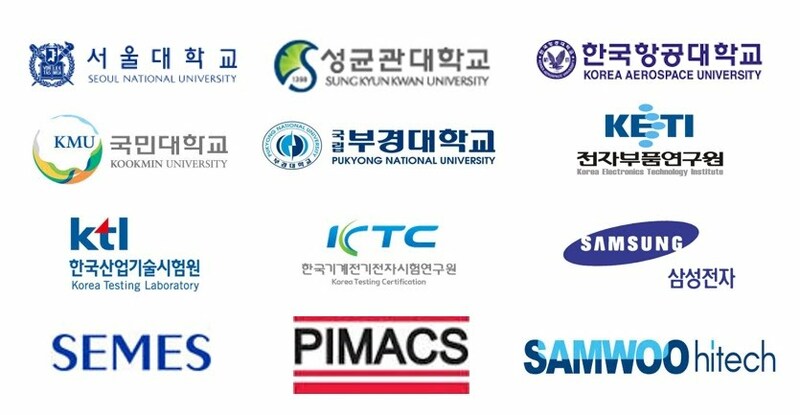 If interested, you are welcomed to contact Prof. Kwon (click the link) with your CV. 석/박사 대학원생, 학부 인턴을 모집하고 있습니다. 선발된 대학원 학생에게는 학위 기간동안 장학금과 생활비가 지급됩니다. 관심있는 학생들은 권대일 교수님에게 CV와 함께 연락주시기 바랍니다.